At Almas Industries we know that biometric access solutions make your nursery or early year’s childcare environment more secure and efficient. Our CCTV and biometric access control solutions are affordable, easy to use and to maintain. 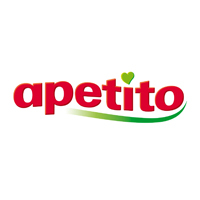 With over 50 years’ experience, we here at apetito know the importance of nutrition and great tasting food little ones love. Renowned for our innovation, specialisation and development of pioneering industry-leading ranges, we are confident we can improve the catering provision in your nursery and help your business run smoother. Au Pair in America is an exciting cultural exchange program focused on childcare in the USA. We provide the best childcare opportunities to more than 4000 au pairs from around the world every year, who want to live, study and travel in the USA. BB Training is an Outstanding training provider rated by Ofsted specialising in offering training to the care sector who strives to ensure that all delegates are the best they can possibly be. Best Practice Network’s aim is to make a positive difference to children’s lives by developing skilled and fulfilled education professionals. We work in partnership with schools, trusts, early years providers and a network of expert practitioners to provide quality and effective professional development and Early Years Initial Teacher Training. Bio-Kult Infantis is an advanced multi-strain live bacteria supplement for babies, toddlers and young children. Each easy to use sachet contains 7 strains of live bacteria, Vitamin D3 to contribute to the normal function of the immune system, Preplex and DHA and EPA which are high in Omega3 fatty acids. Blossom is the fastest growing nursery software; helping hundreds of nurseries to reach Outstanding. Created by Early Years specialists that own and operate their own nurseries, they know what works in practice. Blossom provides nurseries with operational efficiencies, enhanced parent satisfaction levels and a better understanding of their children. Bright Horizons provide an innovative solution to childcare. Over the past 20 years our hard work, commitment and dedication has had fantastic results – we have seen impressive growth in clients, nurseries, and also in the range of childcare services we now provide to our portfolio of more than 300 nurseries. Like many parents and teachers, C.S. kids believes in cultivating a positive learning attitudes in children and encouraging positive behaviour as fundamental parts of their holistic development. That is why we offer one-of-a-kind Early Years & Primary Years Teaching Resources which make learning fun and exciting. Engage parents and reduce your workload! Capture progress, see real-time reports, share key moments instantly with parents, send messages and payment requests without hassle. Save time and money while increasing engagement. Join today and get up to 12 months free. Catax are experts in Capital Allowances tax relief. We have been helping clients secure tax relief for over 10 years and have identified over £204m in tax benefit for our clients to date. Headquartered in Manchester, with offices in London, Glasgow, Edinburgh and the Channel Islands, we work with businesses throughout the UK. Registered childminders offer a unique and special professional service. At Childminding UK we are passionate about the benefits and also understand the challenges. With over 25 years of experience, our friendly team are here to help every step of the way, offering membership, individual support, online training and resources. A child’s early years are more important than any other time. This is when children learn most about the world around them and the language skills they need to survive and grow. Since 1972 we have put enormous thought and care into creating the right material for this all-important time. Clickety® resources, written and developed by speech and language therapists, support essential language and communication skills, important for literacy, learning and confidence. They will help you enhance the use of language, vocabulary and understanding of 3-5 year olds. Visit stand E60 for a chance to WIN a Bundle for your setting. 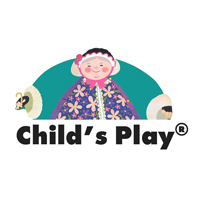 Since 1947 Community Playthings has designed and manufactured innovative, durable, wooden furniture and play equipment, drawing on expertise from childcare professionals across the UK. Our products inspire play, support all aspects of child development and survive generations of wear and tear by active children. Complete education solutions offers a range of diverse educational platforms to increase learning experiences of children, improve management and leadership for your school or business and sup-port education and the education sector. Our flagship platforms are iPEP, UKs leading physical education planner, tracker and assessment tracker and iPAL, our bespoke booking, payments and management system. Established for 13 years, specialising in under 5’s portraiture, we provide studio quality photography at nursery photography prices. We capture images that parents will cherish forever. We offer a large selection of products, suitable for any budget. Concept Photography is fast becoming the nations go-to nursery and pre-school photographers nationwide. At Connect2Care, we have sourced and developed what we believe are the most effective courses and qualifications which provide employers with results, value for money and peace of mind, while ensuring learners of all levels enjoy their learning and fulfil their potential to deliver the best care. 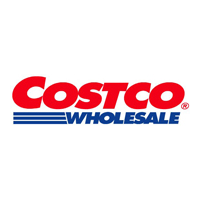 Costco is a Membership Warehouse Club that sells a wide selection of top quality brand name merchandise at low warehouse prices. Specialty departments include fresh deli, bakery and butchery, tyre centre, opticians, electrical appliances and much more! Join up in the Childcare Expo and receive a £10 Online Voucher! Never be stuck for inspiration! Perfect for childminders & early years professionals with dozens of fun crafts & activity ideas, all designed to support the EYFS, KS1 & KS2. Special Show Offer – Save 33% on the annual print subscription! Quote promo code CHDEXLN19 to subscribe via the website. CU, part of the Coventry University Group, is a multi-campus initiative for people who want to benefit from high quality courses, such as Early Years, but who have decided that traditional study options are not for them. Offering flexible study across a variety of qualifications, there are opportunities for everyone. 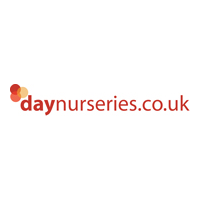 With over 12,599 Nurseries, 4.5 million visits per year & 51,202 Nursery reviews, daynurseries.co.uk is a hub for the childcare sector. A family run company delivering quality training at competitive prices. Our interactive training focuses on different learning styles. Individuals leave feeling empowered and supported by our personalised WhatsApp Group. We engage with our delegates allowing them to feel part of their session. Our trainers are passionate about their subject matters. The Early Years Alliance (formerly the Pre-school Learning Alliance) is the largest, most representative early years membership organisation in England. An educational charity representing over 14,000 settings delivering early learning and care, we believe that together, we can make an even bigger difference – visit us on stand F10 to learn more! Early Years Nutrition Partnership is a social enterprise which aims to positively impact the nutrition and health of under 5s in the UK. Created in 2016 by Pre-School Learning Alliance, British Nutrition Foundation and Danone Early Life Nutrition, EYN Partnership connects a network of Registered Nutrition Professionals with early years settings. Storybooks and resources that support children emotionally and practically to transition through childhood feeling happy, confident and secure. Our Memory Box Collection storybooks make the perfect welcome, leavers’ and seasonal gifts for Early Years settings to give out and our resources provide hours of educational fun whilst nurturing emotional well-being. EduFilm is a film and photography company that specialise in creating unique, OFSTED friendly promotional films for school and nursery websites. With a range of payment/finance options available, EduFilm are here to help your setting and business maintain it’s success and to offer support every step of the way. Eduzone Ltd are suppliers of early years educational resources, furniture and equipment for nurseries, schools, children’s centres, pre-schools and childminders. All our products have been carefully chosen with quality, safety and children’s development in mind. Look out for our new catalogue launching April 2019! Element-i is a pedagogical approach that promotes freedom and effects a specific educational mission. The goal is to raise children to become inwardly free, mature and strong individuals who reflect on themselves and their view of the world and take responsibility for their actions and the consequences. Famly’s nursery management software helps to manage your finances, staff planning, attendance, child development and parent communication to save you time every day. Famly was designed with a wide range of nurseries to ensure that it fits with the way you work right from day one. First Class Education is a fast-growing provider of interim solutions – and a lot more as well for Childcare providers. We have great fully-vetted candidates, plus we provide fully-funded specialist training in management, business administration and leadership – essential skills for the managers and proprietors of Nurseries. 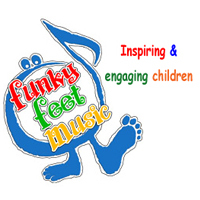 Funky Feet Music – For the playful child who loves to move. We have studied the research, listened to the experts and developed fun, interactive activities that support both body and brain development. Linked to EYFS our award- winning collection of toe tapping, feet jumping, dough squeezing, parachute waving music provides a fun educational experience. Early Years Training Provider delivering a suite of CPD short and Full Qualifications up to Level 5, with apprenticeship and advanced learner loan funding. Using an e-learning platform with one to one experienced assessor’s support. Leaving nursery marks a major turning point not only in education, but also in life itself and we think such an achievement is worth celebrating. With our help, by hosting your own leavers ceremony you will be able to celebrate something valuable that glistens with pride… achievement! Hodder Education publishes a wide range of high-quality and innovative print and digital resources. Our Childcare and Early Years titles are written by trusted authors, including Penny Tassoni and Carolyn Meggitt, and many of our resources are produced in partnership with national awarding organisations. 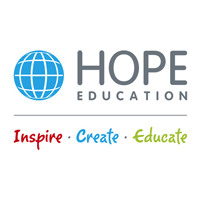 Hope Education is the home of inspirational and best value resources for nurseries. We share a passion for education and are here to support practitioners by giving little ones the best educational journey. Visit us on stand C24 to see our favourite products from the NEW 2019 range. Since 1969, Insect Lore has provided innovative products that make science more approachable and relatable to young learners. Our signature Live Butterfly Kits have brought science to life in countless homes and classrooms. We invite you to explore our educational live kits as well as other exciting products that encourage early discovery and hands-on learning. iSandBOX is a revolutionary ‘interactive sandbox’. Using augmented reality, the unit is used to stimulate creativity and develop imagination in children. With the help of iSandBOX, conventional sand comes to life, giving children the chance to learn about the Earth, geology, history and more. Working with teachers and understanding their day to day challenges, opportunities and joys, “Edusafe” has been able to reduce the need for paper-based documentation. Specifically focused on the EYFS,”Edusafe” has taken the complexity and paperwork out of capturing and assessing observations, which is now a simple swipe or tap. KAPLA is an open-ended construction game for children of all ages… Simply stack these identical pinewood planks to make the most amazing structures. The versatility and unique dimensions of the KAPLA plank make it the perfect creative classroom resource: children grasp basic STEM concepts, intuitively and while having fun! Kinderly Learn is a unique new learning platform which is fun, engaging, affordable and completely at your fingertips. Created in partnership with PACEY, Early Education, Achievement for All and early years experts, Kinderly Learn provides short ‘learning bites’ (no more that 5 minutes) including animations, quizzes, videos, fact sheets and more. Kinderly’s aim is to support childcare professionals and nursery settings to give the children in their care a great start. Kinderly Together combines an online learning journal, accounting & invoicing package and includes many new features to capture a child’s progress and enhance parent partnerships. Saving time, cost and improving communication. Kooties is an innovative role-play/messy play all-in-one coverall designed by parents, made for children and developed in Pre-Schools and Nurseries here in the UK. Former teacher turned carpenter Craig Hill has secured the backing of Peter Jones CBE in the new series of Dragons’ Den for his affordable range of outdoor learning equipment aimed at cash strapped primary schools, nurseries and day care centres. Lets Talk With Hands uses sign language / Makaton within educational settings, nurseries and private classes. Our sessions help with communication for a wide range of children, from those who haven’t yet developed speech, through all spectrums of additional needs. The aim of our unique sessions is to improve basic communication, to help develop language skills, build relationships, and to teach pre-reading and pre-writing skills. All whilst having fun. Little Linguist is a supplier of multicultural and foreign language books / resources. We offer dual-language books in over 50 languages, resources to support EAL / bilingual families, and we are TalkingPen stockists too! Together with families and communities we enable each child to be the best they can be through wonderful experiences that enrich and extend their learning. Our ambition is to change the world one child at a time, by focusing on developing children’s natural curiosity and confidence so they leave nursery as inquisitive explorers who love learning. Design, manufacture and distribution of professional changing stations for new born and little ones for 27 years. We have equipped more than 350 hospitals and 3500 nurseries. Our design and functional furniture is born from a specific need and has been conceived with the support of users and subscribers. Marylebone Services supply qualified Early Years Professionals to a wide variety of childcare settings in London on a temporary & permanent basis. Visit us on stand D30 if you have staffing requirements or are looking for a new job opportunity. Midshire is an industry award winning supplier of office technology and is committed to bringing businesses throughout the UK quality, innovation and the latest in data security. Millwood Education is a long established educational resources supplier operating successfully for over 10 years. Supplying primary schools and nurseries throughout the UK with resources to fit any ethos. Our unique and often exclusive products combine to provide a number of ranges and are developed to support different learning approaches. Our childcare and teaching courses offer high quality, robust training that delivers employable and knowledgeable staff for nurseries and schools. We offer courses from Entry Level to Level 3 in Childcare and Supporting Teaching and Learning in Schools and are accredited by CACHE. We offer both fast-track and 18-month courses. Looking for fascinating resources to engage children in high quality learning? Our unique popular books, ideas cards and loveable characters save you time, make planning easier and learning irresistible. Come see our latest resource to get your children writing and meet our MSE family Challenge Charlie and colourful Hugasuarus’. 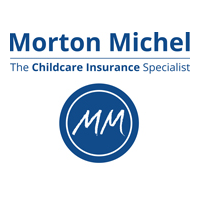 Morton Michel is the UK’s childcare insurance specialist. We are passionate about Early Years and are ingrained within the sector so childcare professionals and their business needs are at the heart of everything we do. This is why we are proud to have sponsored Childcare Expo since they launched 10 years ago! National Day Nurseries Association (NDNA) is the UK’s national membership organisation for day nurseries and the voice of the early years sector. With a thriving membership across England, Scotland, Wales and internationally, join us to benefit from business support, great savings, expert advice and early years training designed by early years experts for early years practitioners. 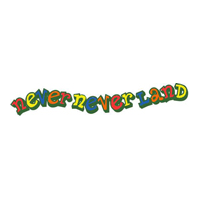 Never Never Land has products to stretch children’s imagination while developing their skills with a comprehensive selection of educational toys for early years, pre-school, day nurseries and childminders. Come and explore our display Smartmax, Qboidz, Story Puppets, magnetic learning and more. All of our products are priced including VAT. Nexus guarantees high quality and value for money throughout our product range. We design and develop unique products in partnership with leading UK educational consultants. This then enables us to aid schools and alike, to deliver the highest possible educational standards, to ALL children regardless of their individual ability. 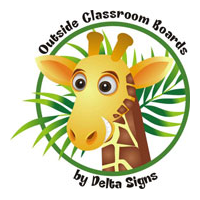 Manufacturers and suppliers of vibrant, weatherproof Educational Boards for permanent use OUTSIDE, also great for long lasting indoor use. Offering a comprehensive range of educational resource signage. Many popular A2 paper posters, Nature Fans with built in magnifiers and vinyl banners available. Specific need? Bespoke products reasonably priced. Dedicated to supporting everyone working in early years to provide high quality care and early learning for children and families. 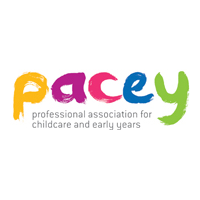 PACEY represents the views and experiences of childcare practitioners and champions their vital role in helping prepare children for a bright future. Parenta provides software management solutions that reduce admin time significantly and is the UK’s largest vocational training provider within the Early Years sector offering apprenticeships at all levels. They train in excess of 2,500 nursery staff per year with the support and knowledge of its in-house skilled team of tutors. Ground-breaking phonics drama workshops bursting with fun and imagination, whilst meticulously meeting EYFS standards for learning. ‘Sammy Sounds’ visits your setting every week to take the children on an exciting adventure to Phonics Land. Sessions build self-esteem and concentration whilst encouraging love of reading and an absolute joy of learning. 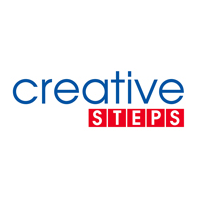 We provide a range of creative mark making ideas, sensory toys and puppets for early years. Our high-quality products are perfect for nurseries, primary schools and childminders. Come to our stand to have a play and see how wonderful our products are. Rahmqvist of Sweden! For 40 years, Rahmqvist have been supplying unique, quality products to education settings all over the UK. From super smooth Silky Crayons and wonderful Flow Paints for mark-making to our fantastic new Mag-Tab. Come and discover the world of Rahmqvist! Rainbow Fostering – changing vulnerable young lives for over twenty years – our unsurpassed training and support enables our foster carers to provide bright futures for children: experienced healthcare professionals are now needed with the energy, empathy and resilience to look after youngsters, many of whom are traumatised with complex needs. Red Monkey Play are passionate about creating outdoor learning resources that will not only provide a fun learning experience, but will also assist children in mental and physical development. Each of our products are handmade in the U.K and delivered to the highest standard. Route2 Education, at the heart of Early Years for 8 years, provides innovative, simple, engaging and nursery focused touchscreen tables, packed with relevant activities. Always putting to good use appropriate advances in technology, Route2’s new Tilt &Touch Evolution table greatly widens the product’s uses while maintaining safeguarding and its characteristic robustness. T-shirts to Tabards. Experts in providing you with the best uniform or fun clothing options to make your staff and children visible and unique. 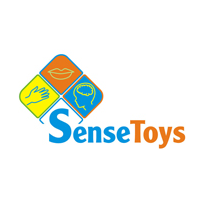 SenseToys specialises in providing toys and educational resources that are particularly good for SEN children. We focus on improving communication and interaction skills. We will have wooden toys, sensory products, puppets and lots more on our fun and friendly stand at specially discounted prices to buy at the show. spark was inspired through a nursery’s needs and has continued evolving. Tried, tested and acknowledged by Ofsted and Awards, spark offers a range of solutions to assist in every way. We embrace current and future needs, such as, to ‘help get it right’ for every child by making it easier for everyone involved. STABILO UK is one of Europe’s leading manufacturers of pens, pencils and other writing instruments including the award-winning EASY ergonomic handwriting range of pens and pencils, specially designed to make writing more comfortable. STABILO is dedicated to helping the UK’s children write…. right. Startopia is a children’s entertainment company creating magical parties for children of all ages. We pride ourselves on supplying high quality performers to ensure that your child’s party is as magical as they are. We also work with schools providing drama workshops to develop skills in leadership, team building and to explore other curriculum-based topics. Talking Products Ltd design and manufacture an exciting range of voice recorders. Record and playback speech, music or sound effects. The range is ideal for supporting the development of speaking and listening skills for all ages. Our voice recorders are tactile and multi-sensory, keeping children actively engaged with their learning. At Talking Turtle, our main goal is to bring excitement, play and interest into the lives of children. Not only do we supply the everyday stuff, but we bring new & exciting products for every child to enjoy. Please visit our website to peruse our products before you come to meet us! 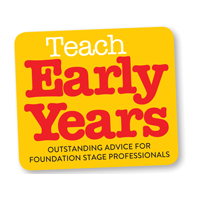 Teach Early Years is the definitive nationwide magazine, publishing twice a year to nurseries and reception classes. Exclusively written for practitioners, managers, teachers and business owners dedicated to provide outstanding care and education for the 0-5s. Receive your FREE copy of our latest issue within a show bag at the start of the event! The Children’s Traffic Club is an award-winning road safety and active travel education intervention that teaches under 5s the skills and attitudes to stay safe when travelling independently later in life. It supports EY Practitioners introduce young ones to make safer, sustainable and active travel choices from an early age. The Children’s Trust is the UK’s leading charity for children with brain injury. We deliver rehabilitation, education and community services through skilled teams who work with children and young people, and their families. Our ambition is that all children with brain injury and neurodisability have the opportunity to live the best life possible. 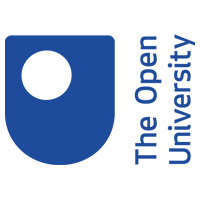 The Open University aims to promote educational opportunity and social justice for all by providing high-quality university education through its unique method of supported open distance learning. Visit stand C32 to hear more about our qualifications in Early Childhood and Education Studies (Primary) relevant to those interested in early childhood or education. The Skills Network is one of the most successful providers of online learning solutions in the UK. We support educators, employers and learners across the UK, and internationally, by developing and delivering effective and innovative skills training and published educational content. The Skills Network has a variety of innovative products and services for your organisation. We are suppliers of educational toys and crafts. The Yum Yum Food Company, established in 2003, is a specialised meal delivery service for Nurseries and School. Our menu focuses on high quality nutritious and delicious meals, catering for a wide range of tastes and cultures. We take the stress out of meal times providing an excellent delivery service. The University Centre Doncaster offers a range of higher education programmes which are available on line to support the continuous professional development of the children’s workforce. The programmes offered are from level 4 to level 7. 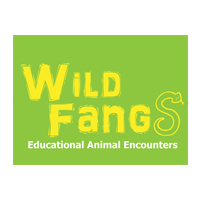 Wild Fangs specialise in bringing live animals to your setting! Delivering interactive, educational and entertaining visits. Our key philosophy is ‘education through engagement’; we believe that children learn better through first hand experiences. Shows are designed to activate prior knowledge, promote excitement through discovery and expose new information. We are a family run business specialising in Nationally accredited, funded Childcare and Management work-based qualifications. Our programs are up to 90% Government funded. Come and meet us to discuss your Staff Training and development and claim FREE online courses for your nursery setting. YPO offers a fantastic selection of early years resources to help children explore and learn, available with free next day delivery. Equip your nursery with everything you need from stationery and art materials to outdoor equipment and messy play– we’ve even got catering equipment and first aid covered.